When your stress levels spike throughout the week, where do you turn for relief? You might be surprised to know there are a number of naturally healthy foods that combat stress and the stress hormone cortisol. A calming chamomile or green tea is an obvious choice—and you’ll be happy to know that dark chocolate in moderation, which is packed with antioxidants, works to make you feel better. So what other foods do the trick? Asparagus, which is high in folate, has a surprisingly calming effect on your mood. 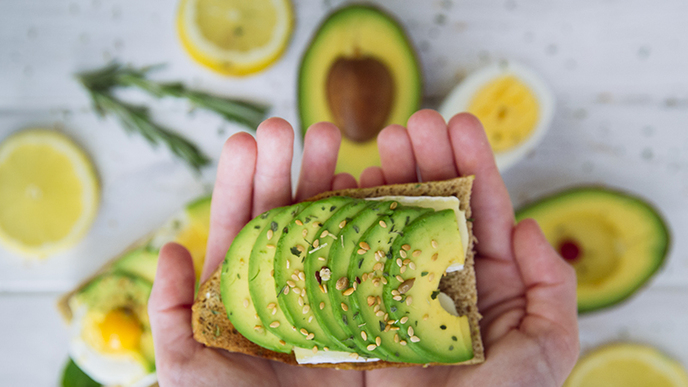 Avocados are rich in glutathione, a substance that blocks intestinal absorption of certain fats that cause oxidative damage. They also contain lutein, beta-carotene, vitamin E, vitamin B and more folate than any other fruit. While blueberries are often considered a superfood with the highest level of antioxidant in any fruit with anthocyanin, all berries, as well as oranges, have high levels of vitamin C, which does wonders to fight stress. Garlic, a powerful antioxidant works to neutralize free radicals that damage our cells, cause disease and encourage aging. Its allicin compound also works to boost immunity. Oatmeal’s warm and creamy texture makes it an obvious healthy choice as a comfort food. The complex carbohydrates actually work to produce serotonin, the feel-good hormone. The soluble fiber, beta-glucan, also works to make you feel fuller longer. Often considered an aphrodisiac, zinc packed oysters have major stress-reducing benefits too. While grass-fed beef is not only better for the planet, it’s also better for your health and stress levels. Packed with antioxidants, such as vitamin C, vitamin E, and beta-carotene, grass-fed beef is lower in fat and higher in omega-3 fatty acids than grain fed beef.